If you are renovating an older home and just discovered that the sill on the exterior prehung door you just ordered isn't long enough, then the Masonite 3" sill extension is your solution. The Masonite 3" Sill Extension Kit with a Mill finish (Mill finish looks like aluminum) contains a 36" x 3" extension that can be easily snapped onto the existing door sill. Enjoy refined style and easy elegance with the Masonite Composite Primed Hollow-Core 6-Panel Textured Bi-fold Door. The industry benchmark for all composite wood doors, expert construction results in a more durable door that resists warping, shrinking, and cracking better than a solid wood door. Select designs offered in coordinating bi-fold and factory prehung single or double prehung units. 36-inch x 3-inch Sill Extension If you are renovating an older home and just discovered that the sill on the exterior prehung door you just ordered isn't long enough, then the Masonite 3" sill extension is your solution. 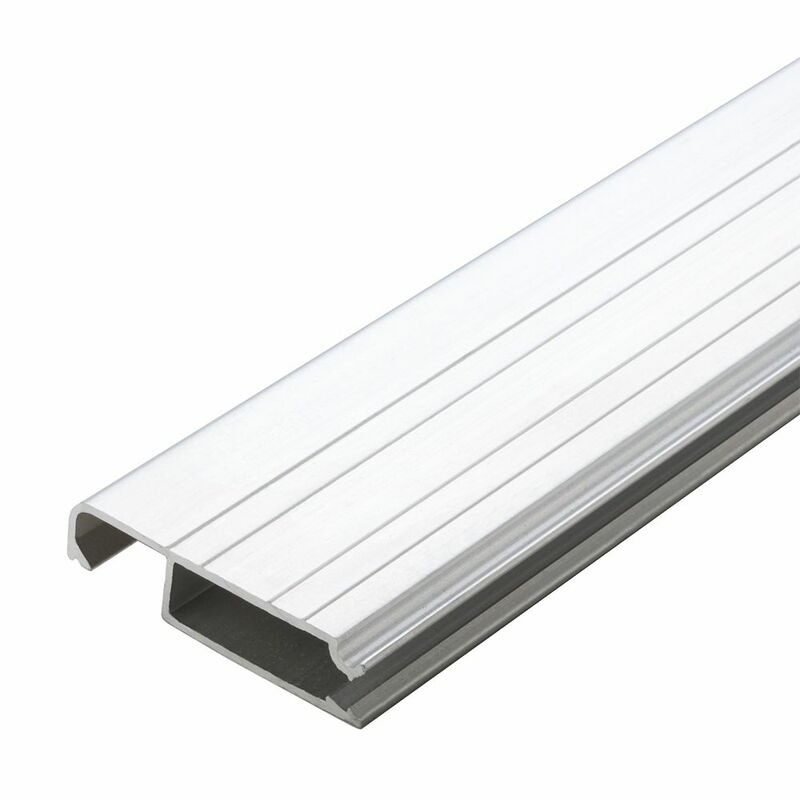 The Masonite 3" Sill Extension Kit with a Mill finish (Mill finish looks like aluminum) contains a 36" x 3" extension that can be easily snapped onto the existing door sill.